The cameras and lenses featured in the photos throughout this article are currently in stock at Midwest Photo, in addition to many more vintage and classic cameras. Call the shop at 614-827-1264 and ask for Casey or Jake for current pricing and availability. You can also email Casey at casey@mpex.com, and Jake at jacob@mpex.com for more information. Click here for our Used Equipment Live Chat during business hours! All camera images shot using the Elinchrom Quadra 400 HS pack with High Speed Sync. 1/5000 of a sec. at f/5.6, ISO 200. 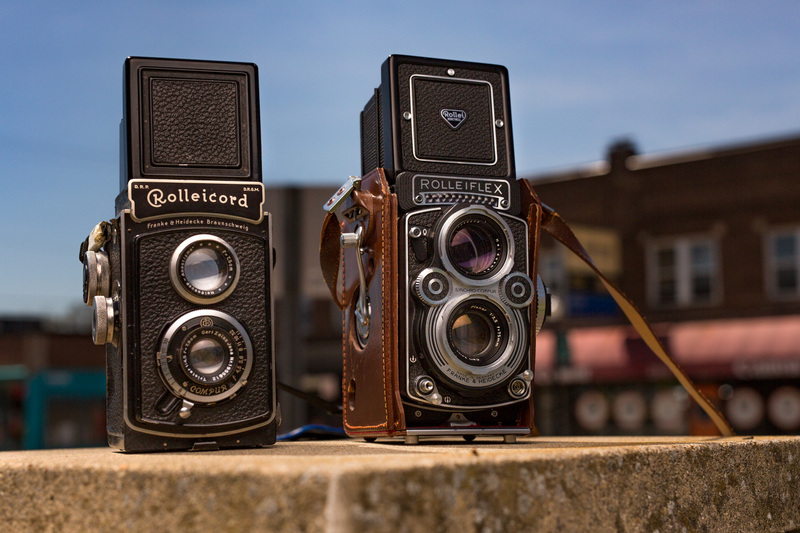 Rolleicord 1A Zeiss Triotar f/4.5 75mm lens on left and a minty fresh Rolleiflex f/3.5 F Zeiss Planar 75mm lens. One way to free up some cash is to sell or trade your current or used gear. If some of your equipment is not getting used, then it’s just losing value (most of the time), so it’s smart to sell when the price is high. If you want to sell your used photo gear straight to the end customer, Ebay is a trusted and reliable way to go. Ebay sellers are rated based on customer reviews of their service and accuracy of their listings, so it is wise to build up a good seller rating. 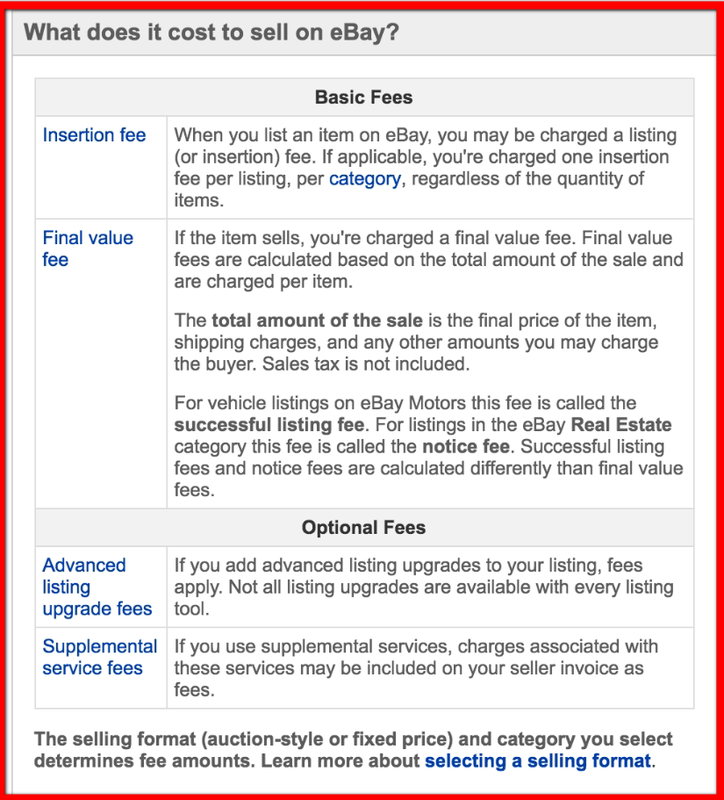 If you have no Ebay history or ratings it may be difficult to attract potential buyers because of the lack of reviews and some may be wary that you could be a rip-off artist, or worse. You could also put your gear out there on Craigslist. A major downside of Craigslist is the need to meet with strangers at a neutral location. For some, this is no problem. For others this may be super awkward, or worse. Meeting strangers at police stations is not everyone’s cup of tea. 1/1600 of a sec. at f/7.1, ISO 250. 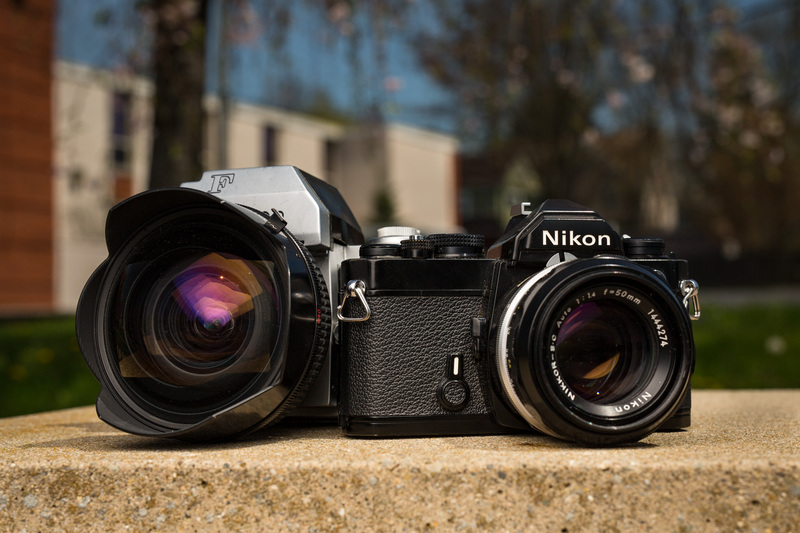 On left, Nikon F body with a Nikkor 15mm f/5.6 Fisheye lens, and on tight the Nikon FE2 with a Nikkor S.C. 50mm f/1.8. If you decide to go the Ebay route, then you have to make an attractive listing, establish yourself as a seller, set up your Paypal account, write accurate descriptions of the items for sale, estimate their condition, take photographs, and correspond with potential buyers, etc. Then you have to wrap it up, pack it, ship it, deal with payments and tax and returns, etc. Don’t forget about the cut that Ebay takes. 1/5000 of a sec. at f/2.8, ISO 160. 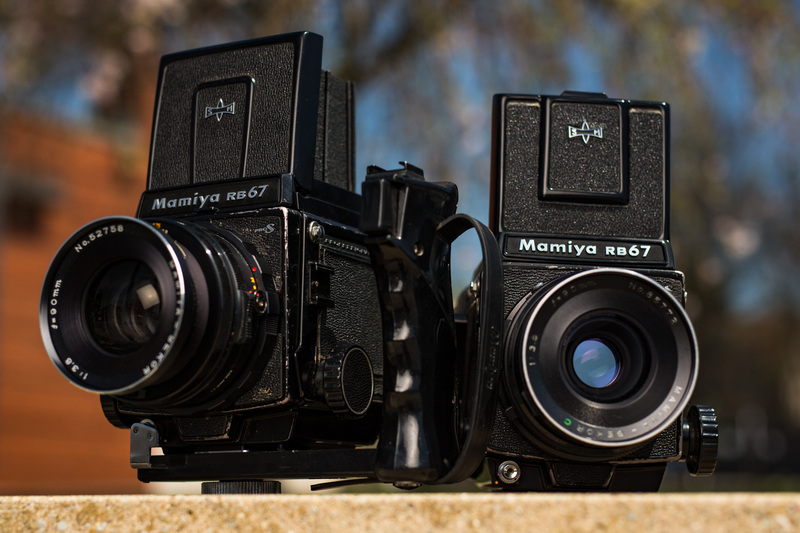 Both cameras are the Mamiya RB67 with Mamiya 90mm f/3.5. Ultimately, the easiest way to sell your camera gear is trading it in or selling it at your local camera store (Hello!). The goal for most people is to minimize the work, time, and risk that it takes to sell your gear. If you spend too much time trying to find a buyer, you can lose something more valuable than money… your time. Buying and selling used gear at the shop beats meeting in police station parking lots, shipping, emails, etc. 1/5000 of a sec. at f/2.8, ISO 160. On the left, Leica M3 with a 50 Summicron f/2 Collapsible lens, and the Canon IIF Rangefinder with a 50mm Serenar f/1.8 lens. When it comes to buying used gear, it’s an obvious choice to shop local. Seeing is believing with photography gear. When I buy a lens, I like to actually see it before I pay for it. That is why it is so important to have to a local place to buy used gear. Of course, I am biased, but I bought my gear from Midwest before I worked here. I still use the used tripod I bought from Adam, now our Education and Commercial Support Specialist, almost five years ago. Being able to ask someone’s opinion and see the gear really makes all the difference. Check out the live chat feature on our homepage at mpex.com to see what is in stock, get pricing, or even get a quote on the gear you want to trade-in or sell! Click here to send us a message and get a quote right away!